There are a million reasons why someone could ask to be on the first United 787 flight; I’ll give you one: I have a passion for flight (read the whole story, I promise, it’s worth it). The Birth of a Passion. I don’t remember this, but from a very early age I wanted to fly. My family is from Oklahoma, but in 1986 we were moved to New Jersey. The most logical way home? Continental. (My OnePass account card is so old and dated, but it still counts.) Oh, and to be fair, we did have a few 24-hour drives in a fantastic old van. If It Ain’t Boeing, I Ain’t Going. Our time in New Jersey only lasted three years. We moved backed to Oklahoma and stopped flying. I was interested in other things, but for some reason I always knew things were happening in the airline industry. In 1995 we were forced to move again, this time to St. Louis. Back in those days if you were going to fly STL to OKC it was going to be on TWA. And my family flew a lot. We took our first trip to Hawaii on TWA flight 1 STL – HNL. Then, when American bought out TWA, we followed suit. All of that to get to this; I remember one night when we were traveling through DFW; I saw my first 777. I proudly told my dad, “That’s the biggest plane ever.” Okay, so I didn’t really understand size at that point. But that memory is clearer in my head than so many others. To this day I have no idea why or how I knew that, but I’m glad I did. It was the summer of 2005, by this point we were back in Oklahoma. My parents and I were taking a trip to Hawaii, and then on to Hong Kong. No one in our family was Premiere, or even close. But we were excited to be flying United. This was going to be a very big trip for me, not because we were going to Hawaii, or even stopping in Tokyo on our way to Hong Kong. This trip was a big deal to me because I would fly my only flight (yes, to this day) on a mighty 747. We left Honolulu on what I recall to be a 777. There were movies and beverages. I imagine we even had a meal. We chased the sun, but sadly, it was early morning. We arrived in Tokyo around noon. Our departure wasn’t until that evening. It was a long day in NRT. But I looked out the windows, and paced the halls of the airport. Around 6pm we began boarding. “Morgan, party of three to the podium.” And just like that, something magical happened. United gave us the bump to Business Class seating. To this day, I don’t know why. But I don’t care. That was the moment that started my love affair with the airline that would take me anywhere I wanted to go. When I left home for the first time on my own, I moved to Grand Rapids, Michigan. Since both American and United flew through ORD I always picked the cheapest (sadly to say I didn’t understand loyalty at the time). I did have more Advantage Miles, so I tried to use them more, but I was more satisfied when I flew United. While I lived in Grand Rapids, I was only 4 miles for GRR. My apartments back door was right under the landing pattern for 08R. I found myself looking to the skies more. I would play this game where I would try to figure out the airline before I could see the livery, and I have to admit, I got pretty good at it. I had already become a Marriott Purist, and I wanted to become a United fanboy, but a move to Orlando would change that. Mickey Made Me Do It. By this point in my life I had become Platinum with Marriott, but had no hope of ever climbing the ranks of an airline’s loyalty program. There were two problems; One, I didn’t fly enough. Two, I didn’t give one airline all of my business. When I finally found a home I was happy with, I was just south of ORL (Orlando Executive) and 10 miles north of MCO (Orlando International). The ORL VOR is a key point in a normal arrival from the north to MCO. Needless to say, my little game I played became a lot more fun. To make matters worse, I was dating the daughter of a pilot. He and I would talk planes. And I would watch them for hours. One day, while walking around Lake Underhill, watching aircraft arrive at MCO, I realized, I needed to learn more. Within 20 minutes I had found liveatc.net. My passion moved up thirty levels (some where around FL 200). Why was I in Florida? I was attending film school. I always thought I would be a director of photography. But, as school wore me down, my time was increasingly spent on plane watching. Concorde consumed me. I read books, watched videos, and within two years, had visited all three Concordes that resided in the states. (Alpha Delta being my favorite, she will always have a place in my heart). I graduated and moved to New York City (I actually lived in Elizabeth, NJ, just five minutes from EWR). I got myself a membership to the Intrepid museum, and tried to visit Alpha Delta as much as possible. I let my wife (we had gotten married by this point) drag me to Ikea just so I could sit in the café and watch arrivals and departures. And then it happened. I found Twitter. #avgeek became my life. I started following all of the greats, and meeting as many other FL400 flight lovers as I could. And with that, I decided to leave the film industry. For Aviation? Nope. But I started a few new businesses and prepared to take on the world. On a sunny March day in 2009 I took the train from the Elizabeth Station to EWR. I wondered down the halls of terminal A, and found my place on the first of many United flights. That year I would reach Premier. As I sat down in my seat for the first time, I called my dad and I said, “I remember why we always wanted to fly United.” I was in Heaven. 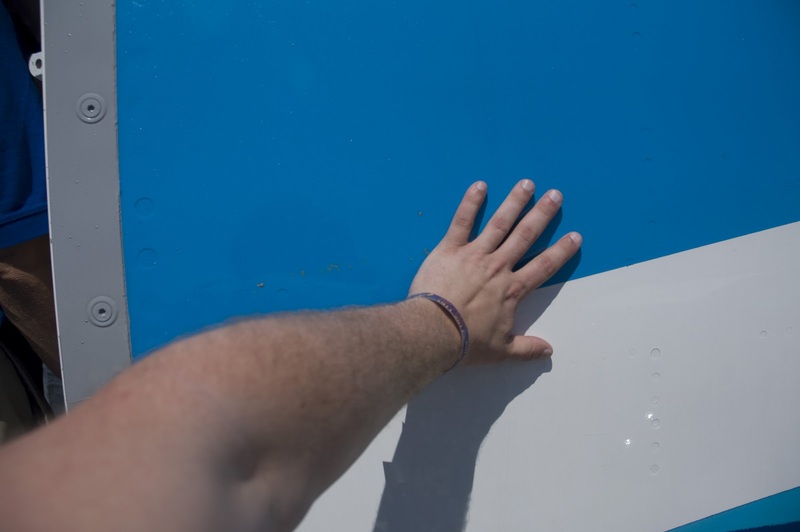 From the moment I watched the 787 take off on its first flight, I had one goal: touch it. It was 2010, and I was living in Oklahoma again. 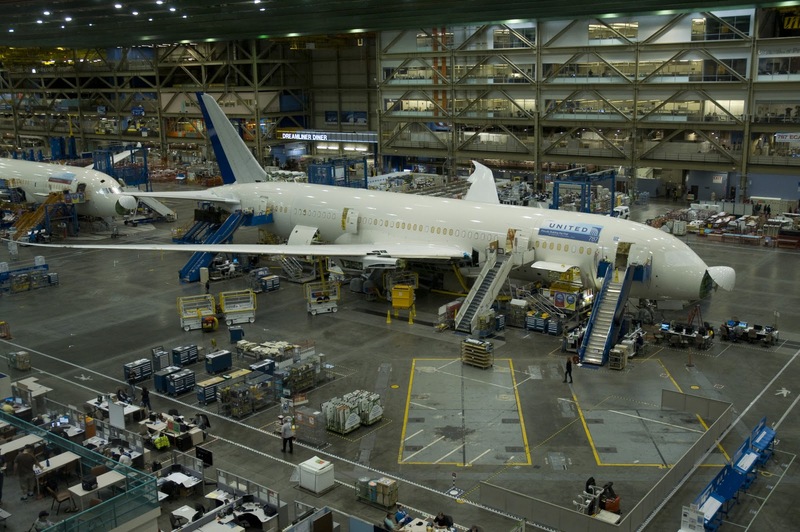 I had managed to score some work in Seattle, and I planned an extra day to go visit the Boeing Factory in Everett. It was an evening flight in from LAX. I secretly had my earphones in and Owl City was singing “Hello Seattle” in my ears as we approached. We arrived from the North. I watched as we passed downtown Seattle, and then I saw my first glimpse of Boeing Field. Work flew by, and I was never more excited as my trip north. Driving around the plant to the Future of Flight was … amazing. I saw the 787 for the first time. And the factory tour took my breath away. So, I was hooked. If it wasn’t Boeing, I wasn’t going. And by this point in life I had told my business partners and family that we were all flying United. The Best Sun Burn Ever. It was the summer of 2011. I had made up my mind to travel to EAA Airventure in Osh Kosh. 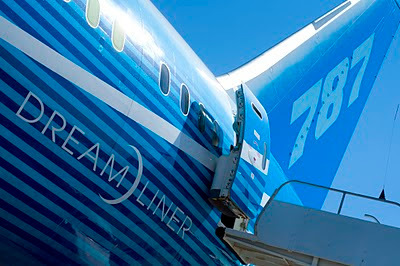 I had one goal in mind: touch the 787. My trip to Osh Kosh was… filled with excitement. Although I had seen the 787, I had never touched it. I remember when she was circling above, waiting for other planes to clear the runway. She was quiet, peaceful, majestic. Her landing was flawless. I can play it back in my head over and over. This was the plane that outflew all other planes. I took as many pictures as I could that day, and I waited in line for three hours to be inside of the 787. I had forgotten to put on sunscreen, and refused to leave the line for it. This moment was too perfect to pass. And then I touched her. I connected with her carbon fiber skin, and was never happier. (With the exception of marrying my beautiful wife). The ten minutes I was inside the 787 were magical. I had found true love. The Merger and the Greatest Moment. I remember when word got out that United might be merging with U.S. Airways, and I wasn’t happy. Then, out of nowhere, United and Continental announced their merger. I stayed loyal to United as the merger progressed. While others complained about getting rid of the classic Tulip, I saw opportunity with the globe. One day I was driving north on I-35W. I was in the DFW area. I watched as an American 777 took off from DFW and flew to Fort Worth Alliance Airport. I tweeted something to the extent of “I wish I was the pilot who flew the 777s from DFW to Fort Worth Allince.” About four minutes later my phone buzzed; it was a message to call Boeing. The greatest moment of my life followed. I was invited to the delivery celebration of the first 787 to ANA. The rest of the drive back to Oklahoma City was a blur. The time between that call and my trip didn’t exist. I couldn’t wait. And this time, I flew from IAH on a 737, and again, Owl City was welcoming me to the city on a late night flight. You can read my blog about the celebration, and the factory tour on the floor. But here it is in one word: indescribable. Thank you, Boeing, for letting me be a part of that. Since then, I have become Premiere Gold on the new United. And as I type this, I’m on a United 737 with the new Boeing Sky Interior, which I love, flying from IAH to OMA. United, I love your airline. Boeing, I love your planes. So, here’s the final question; Can I join you both on United’s first flight from Houston to Auckland on the 787? I want to meet Jeff Smisek (in fact, the first time I get on a United plane every month, I grab Hemispheres to see what Jeff has to say to me!). He’s one of my heroes. I want to hang with United crews, because they are the best in the industry. 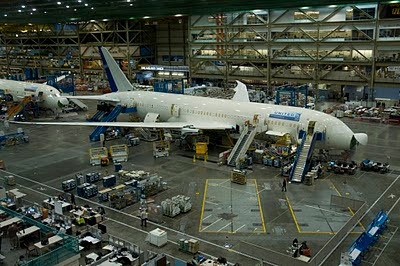 I want to support Boeing and United in their efforts as businesses to support America. And I want to take this trip with you, because for me, it’s the journey, not the destination.